Anna Bickley joined Uvision360, Inc in 2017 as the Sales Operations Manager. Prior to joining the firm, Ms. Bickley worked at Morgan Creek Capital Management in Chapel Hill where she was an investor relations associate for the investment firm. Ms. Bickley has extensive experience maintaining client relationships as well as acting as a liaison inside the firm to resolve all operational issues for client accounts. 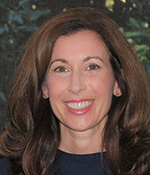 Prior to Morgan Creek, Ms. Bickley worked at Lehman Brothers on the Capital Introductions team in the New York office. Ms. Bickley received her Bachelor of Arts degree from the University of North Carolina at Chapel Hill.